Gearing up in the early morning to climb Mt Earnslaw. 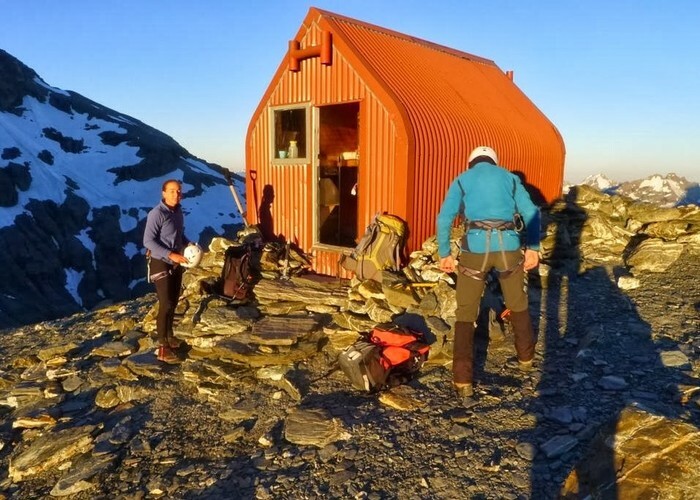 Esquilant is a 6 bunk hut situated at 2,160m. Added 24 August 2016 by BriarBriar. No revisions. 122 views in the past year (10 per month).